Phew! This year is whizzing by at the speed of light – I can’t believe it’s already time to make my picks as ambassador already! It’s really tough, and I take my time, because I know that People Tree clothes last for a really long time – that means that I have to make sure I make wise picks. I was really happy to have the chance to wear my beloved People Tree jacket from a few seasons ago on the BBC News. It looked smart and stylish and timeless – proof that these clothes are great investments in terms of both quality and style! This is such a great look, and not one I’ve seen from People Tree before. 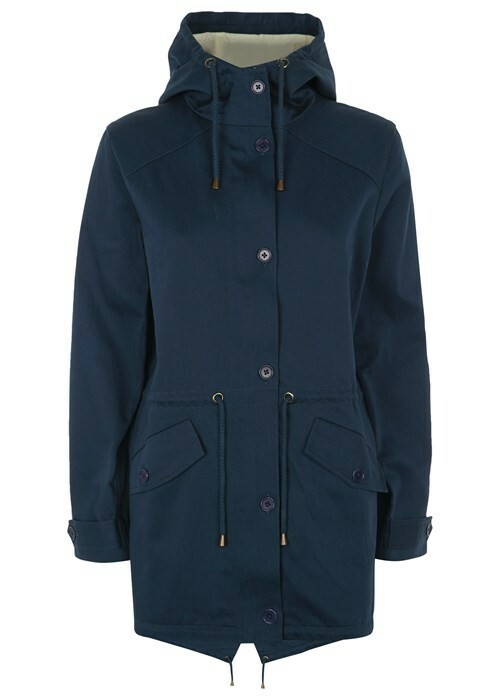 It’s the perfect transitional coat. I’ve recently been making bad coat choices – sweating in a woolen coat or shivering in a light jacket – and I reckon this will be the perfect coat as for warmer days it’s light, can be worn with sleeves rolled up and open. On colder days I can zip that funnel neck right to the top and feel cosy and fashionable. White is always a brave choice for me – I’m quite bad at spilling things – but I couldn’t resist this. 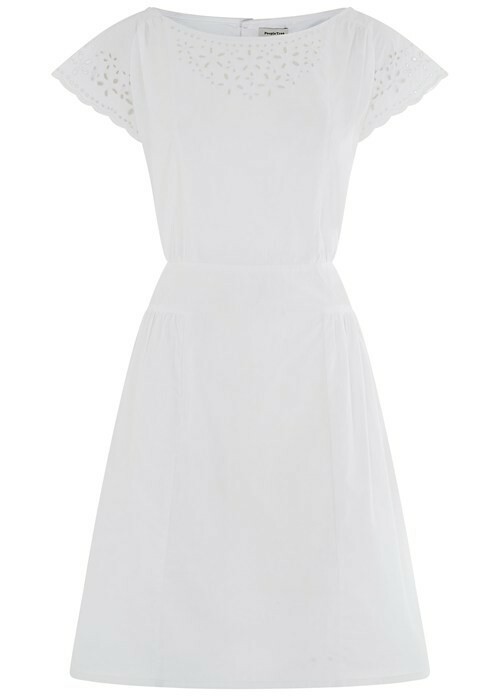 It’s the perfect cotton summer dress. The first few months it’ll feel wonderful and crisp on hot summer days. Then, as I get more wear out of it, it’ll become gloriously soft and comfortable – I’ll be wearing it on holidays for years to come! 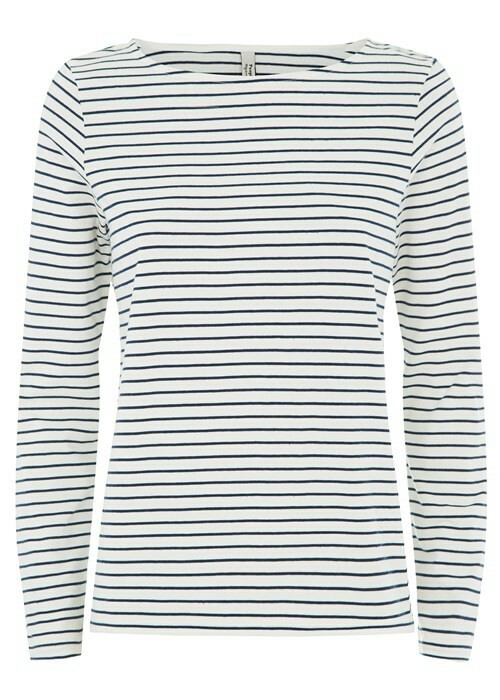 You just can’t beat a Breton top for effortless, chic style with minimal effort. This can go with jeans and ballet pumps for day, and, with a mere switch to chunky ankle boots, be a great look for a night out with friends. Wow! 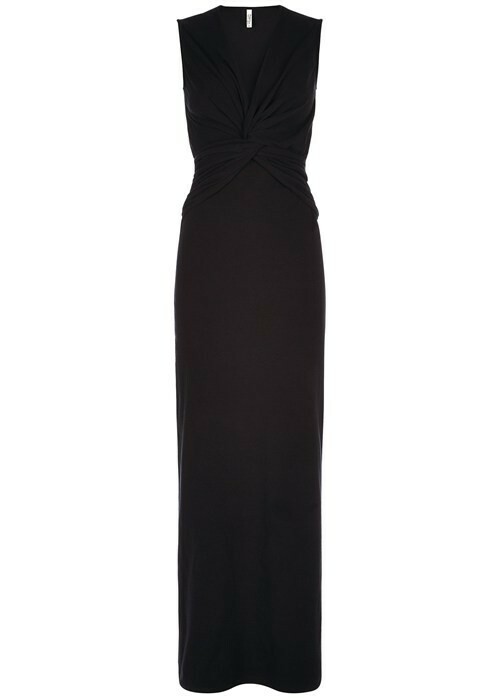 I’m not sure if I’ve ever had a floor length dress from People Tree before! You know when I’m looking forward to wearing this? On the plane to see a dear friend in Cyprus. I can’t wait to look glamorous on a flight – I am totally a comfy trousers & baggy jumper sort usually. This will make me feel comfortable, warm on the plane (the air con is always too chill!) and then effortlessly chic and cool when I arrive! This is so stylish and will be really flattering, too. 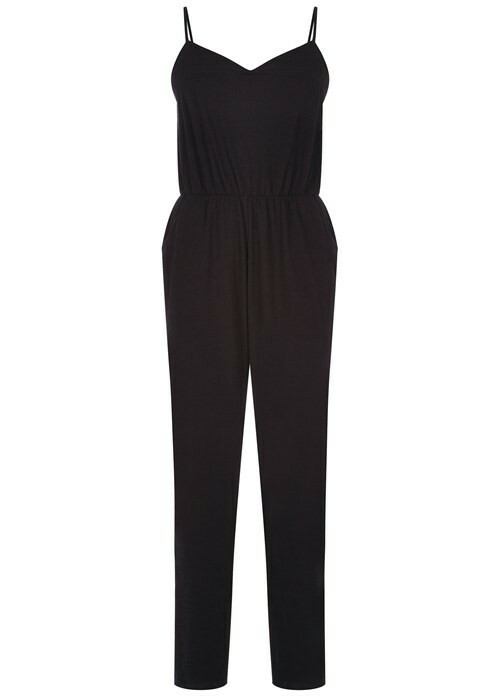 I reckon I’ll be wearing this on castings, and it’ll show off my figure and make a good impression on the client. I could wear with a pair of sandals and slip on some black heels when I get to the casting – and with some red lipstick and a belt I also have my perfect party outfit! I got the leopard print sweatshirt last season and wore it nearly every day. It stays really soft and great quality, it warm, and looks great with a pair of denim shorts and boots. 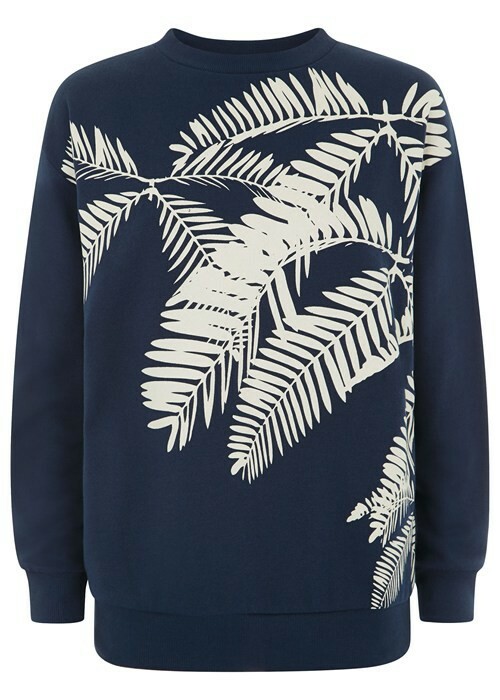 So this palm print is a lovely summer evening sweatshirt, for when it starts to get chilly but you want to soak up the night air for as long as possible! 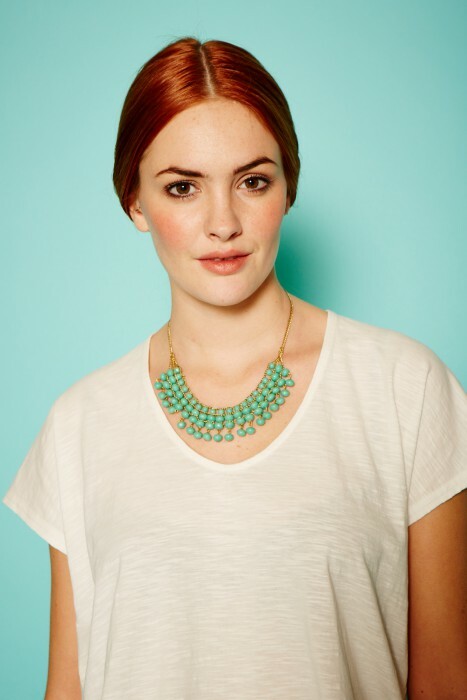 I’ve had my eye on this for ages and now it’s in the sale! I think that the embroidery is very delicate and sweet, and the neckline is very unique. I got it in a larger size because I like to tuck my People Tree shirts into jeans, and I like it when there’s a bit of a blouson effect. 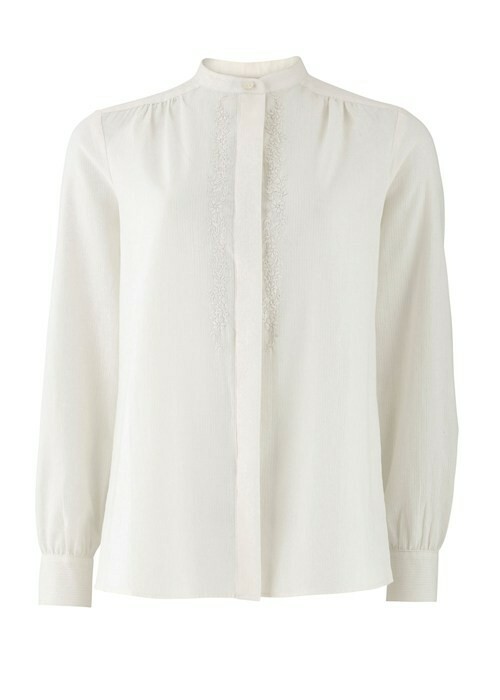 I’d style these with biker boots and black skinnies to contrast with the delicate femininity of the top. This is a total and utter standout piece of jewellery by People Tree – and that’s saying something because I think their accessories are always so strong. The colour is so vibrant, and I reckon it’ll look great with my Becca Broderie Dress to style it up at night. These are just so sweet! My boyfriend is always telling me off for not wearing enough jewellery, and I think these earrings will be the perfect remedy to that – I won’t want to take them off! I like stars and moons imagery in general and gold suits my skin tone, so it’s almost as if these have been designed just for me! A great pair of eye catching yet understated earrings. I love a hoop earring, as I find them very flattering. 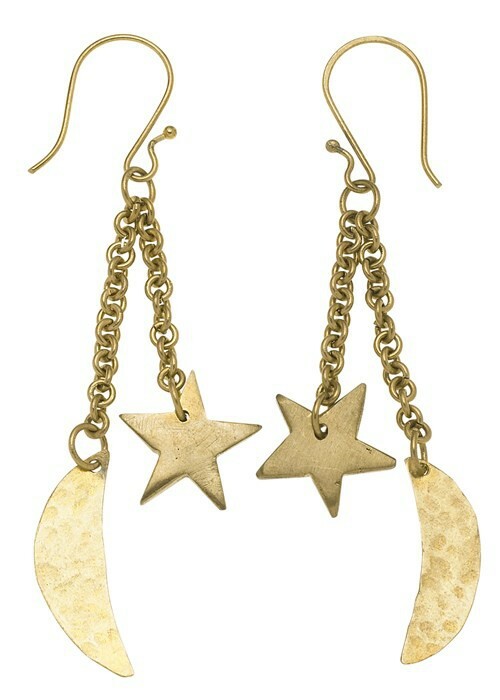 I reckon wearing these with the Trudy Twist dress will give me a very dramatic, glam look for nights out in the summer! Lastly, I just have to say how impressed I am with the People Tree x Bora Aksu collaboration. 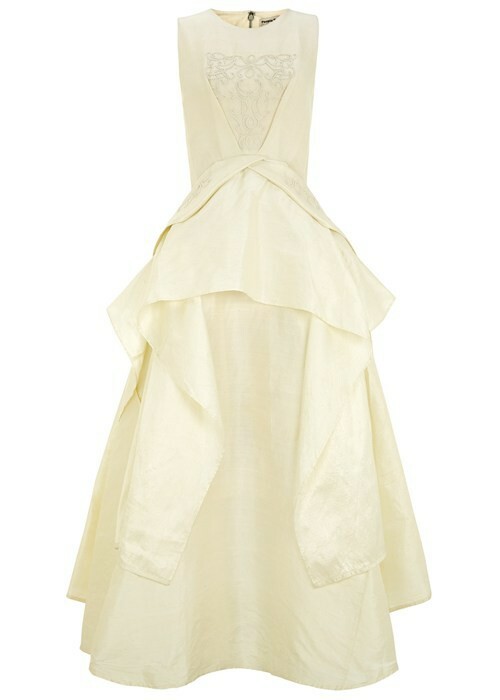 They’ve made an absolutely stunning wedding gown that’s fashion forward, Fair Trade and a bold move. And that’s why People Tree are so ahead of the Fair Trade game – they’re not afraid to take risks and break preconceptions about ethical fashion – and you can see that with this stunning dress. This won’t be one of my Ambassador picks, but I can guarantee you, if I were getting wed (or had an incredible party coming up), it would be the choice for me!